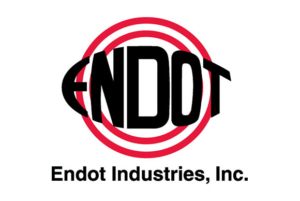 Endot Industries, Inc. is headquartered in northwest New Jersey just off of Interstate 80 and only forty miles west of New York City. Our primary manufacturing facility shares the same building as the administrative offices. In addition to our New Jersey location Endot has two other facilities a Southern plant in Greeneville, TN and a Western plant in Pryor Creek, OK (near Tulsa). All plants produce polyethylene water pipe and gas pipe and the New Jersey and the Oklahoma facilities also manufactures conduit and innerduct for the telecommunications and electrical markets. Endot’s New Jersey headquarters handles local order entry, billing, general bookkeeping, and purchasing for the entire company. Staying in touch with the customer is our central concern.